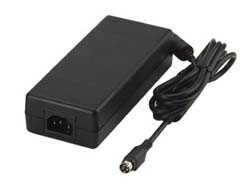 This product is a 60W watts AC to DC adapter intended for use in thermal printers, printers, POS systems that have a peak power request. This adapter operates at 90 to 264 VAC input voltage. The unit meets EN55022, EN55024 and FCC class B emission limits, and is designed for ITE application.